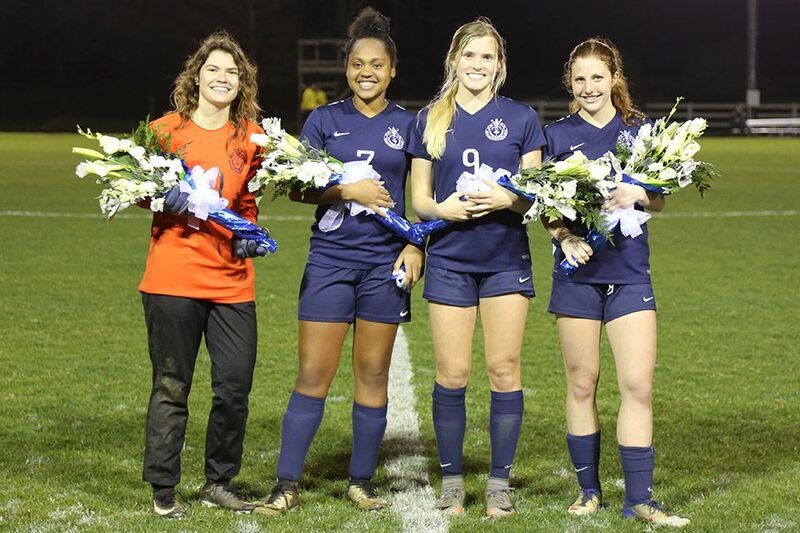 ESA Soccer celebrated Senior Night! Thanks to seniors Ella Frantzen, Cassie Bowers, Anna LeGoullon, and Samantha Withers, as well as Sloane Brasseaux, Jude Miller, Parrish Anderson, Ethan Boagni, Tommy Burns, Nathan Mouton, Will Cowan, and Landon Chrysler for leading the boys and girls teams this season! Entering the playoffs, both teams have byes in the first round, with the girls seeded second and the boys seeded first. Good luck, Falcons! And congratulations to ESA Soccer players Parrish Anderson, Nathan Mouton, and Cassie Bowers, named to the 2019 All-Star teams!